I discovered Donita K. Paul and her Dragon Keeper series for grown up kids a couple years ago. I’ve loved her stories and books, but never knew she also writes children’s books. Her partnership with Evangeline Denmark has created an enchanting new children's book series. I am delighted to report that the same quality of storytelling shines through in this picture book. Dragon and Turtle are on a big safari at the base of Mount Sillymanborrow. Over the course of their adventure, we start to discover that the base of Mount Sillymanborrow might also be the backyard. 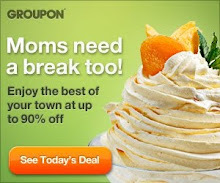 Yet, I have a lot of sympathy for two young boys trying to be brave and spending the night alone in a tent. Dragon and Turtle are determined to brave the entire night in their tent. But will strange sounds and a middle of the night adventure cut their safari short? Be sure to read and find out. I enjoyed the story as much as my children did. Included are a bonus story and conversation starters for us big kids (adults) to use when talking about character traits like showing concern for others and encouraging others. I loved being able to share with my children in a manner that doesn't preach at them. They got my point of view within the context of the story. I have one other children's book that I am reviewing tomorrow. 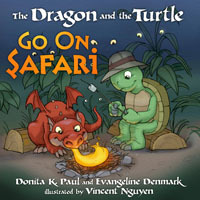 In that review, find out how you could win The Dragon and the Turtle Go on Safari . Disclosure: A copy of this book was provided to me by WaterBrook Multnomah. I was not given any other compensation for this review.